Johnston Cox is a shareholder at Gallivan White and Boyd, P.A. in the firm’s Columbia office. He received his B.A. Degree from Washington & Lee University in 1991 and his J.D. Degree from the University of South Carolina School of Law in 1995.For the past 20 years, Johnston’s practice has focused on Insurance litigation, business litigation, commercial condemnation and personal injury matters. He has litigated cases in the areas listed above, including declaratory judgment and bad faith actions for various insurance industry clients in state and federal courts throughout the State of South Carolina. He has tried over 45 cases to verdict.Johnston has obtained an AV rating from Martindale-Hubbell and has been selected for inclusion in The Best Lawyers in America in the field of insurance and personal injury law. 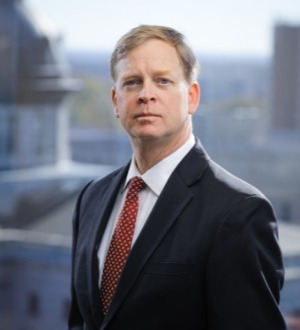 He was also was selected by peers and colleagues as one of the honorees for the 2017 Leadership in Law Awards by South Carolina Lawyers Weeklyand honored as a Super Lawyer for South Carolina in Business Litigation for 2018.Dedicated to the advancement of the legal profession, Johnston serves as the National Membership Chair for the Association of Defense Trial Attorneys and Treasurer of the South Carolina Defense Trial Attorneys’ Association and will be elevated to President in 2020. Johnston is also member of the Federation of Defense & Corporate Counsel (FDCC) and served on the faculty of the FDCC’s Litigation Management College, instructing claims adjusters and managers on practices and techniques to avoid bad faith claims handling.Also dedicated to community improvement, Johnston has served various charitable organizations, including previously serving as a board member of Senior Resources, Inc., the Community Advisory Board for Home Works of America, Inc. and currently as a member of the Board of Directors for Home Works of America, Inc. a non–profit organization enabling more than 38,000 youth and adult volunteers to repair the homes for elderly, disabled or veteran homeowners across South Carolina, North Carolina and Georgia.